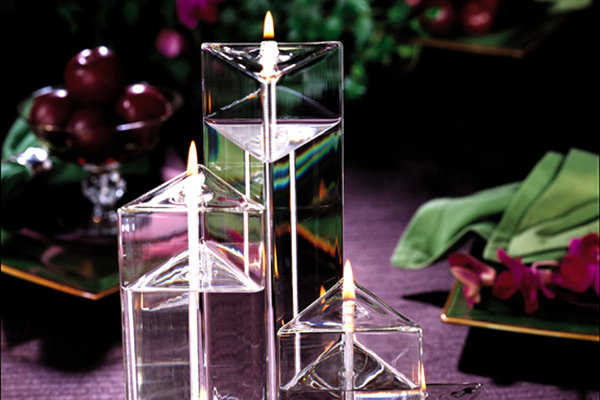 Combining fine art with good function, Firelight Glass is the premier design manufacturer of handblown glass oil candles. Made in California. We use old-world hotworking techniques and modern proprietary technology to create sculptural forms available nowhere else in the world. In fact, many of our designs are so unique, they carry patents. The Firelight story begins on a kitchen table in 1970, when Karen Boss’s love of the craft found her experimenting with glassblowing. 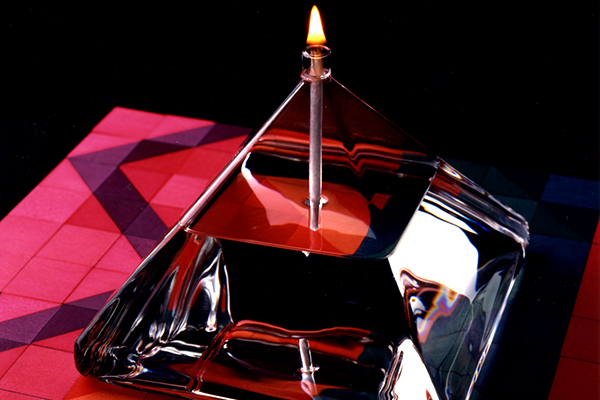 Now, 30 years later, we’re still experimenting, and still handcrafting each candle at our factory in the Bay Area. 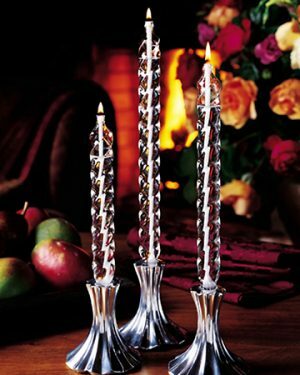 Designed in a wide array of styles to fit any décor or any occasion, Firelight candles fill the home with the age-old magic of candlelight. And consistently solve the problem of a special gift for a loved one. 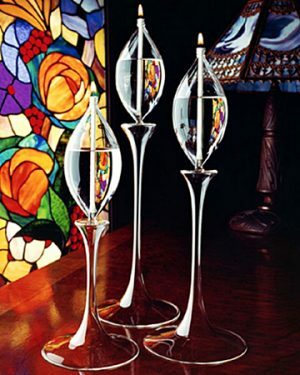 You’ll find Firelight Glass in some very famous settings – from the chapel of a queen’s court in Belgium to Star Trek: The Next Generation, plus imaginative homes just like yours. 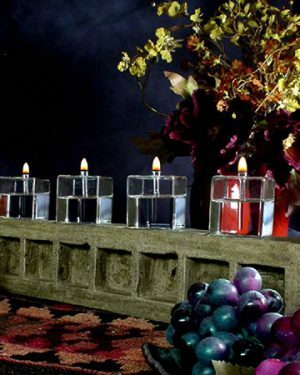 Of special delight to us, our customers worldwide enjoy the magic of our candles. 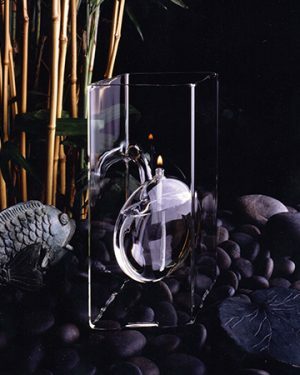 “Firelight Glass products are elegant, well-crafted and a delight to own. 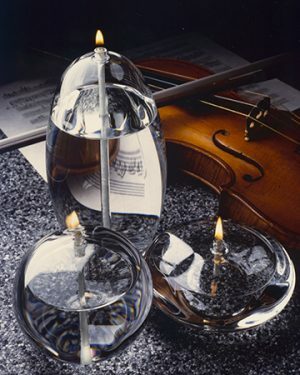 It is for these reasons my wife and I return to Firelight Glass time and again to give them as gift to family across the world.” We hope you’ll discover the magic of Firelight too!